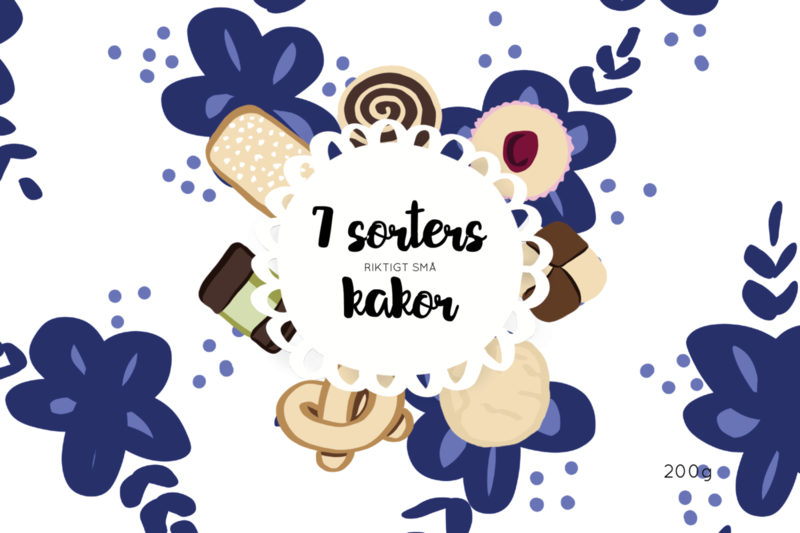 7 sorters riktigt småkakor – The one person Swedish fika. In the course Packaging Design and Product Display we got to design a box of our choosing. 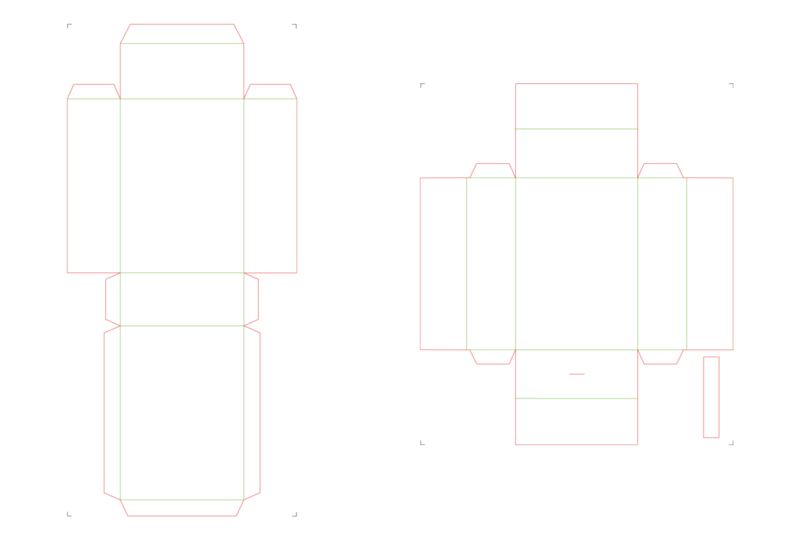 That meant creating our own concept, brand and die lines for a packaging. We created the concept 7 sorters riktigt små kakor. This because seven varieties of different cookies was the traditional way to have a Swedish Fika. (If the host had less that seven cookies he or she would seem cheap). The twist with this concept is that they are “riktigt små” miniature sized cookies so they will fit perfectly for a one person fika. If you want company, just buy one box each, or share and enjoy the cookies as little truffles. In this project I was project leader and illustrator. That meant creating the above seen illustrations for the packaging. Two patterns and a variety of different cookies. The thought behind the artwork was the traditional Swedish shapes and patterns. 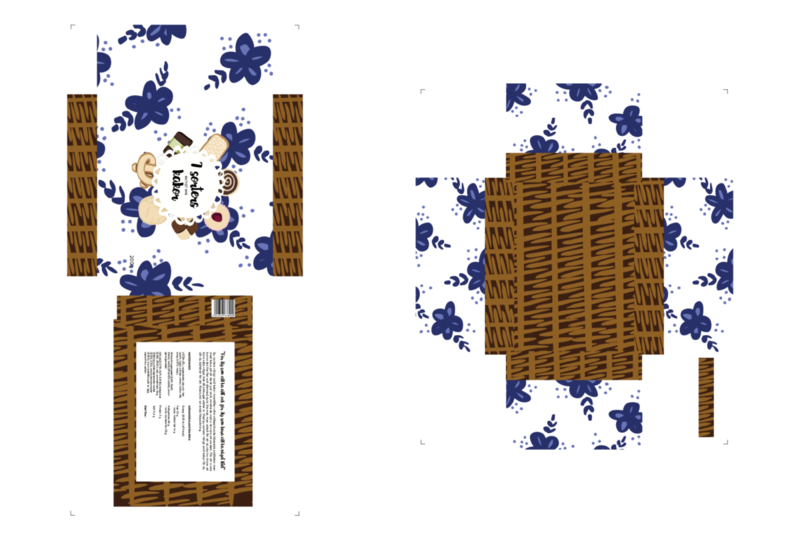 Like china patterns, picknick blankets, cake mats and baskets. We wanted to communicate the cozy and homemade feeling. Above you can se the die lines we created for this project. 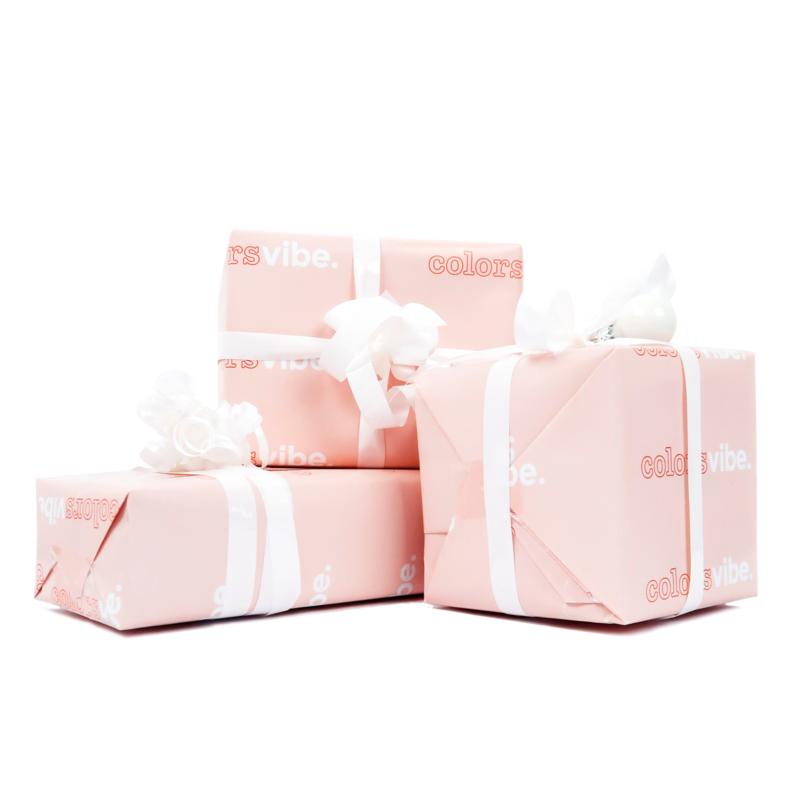 For Colorsvibes 1 year anniversary I designed a wrapping paper with the new design and logo.